Whether accessing private or NHS healthcare in the UK, patients should always expect the highest level of care to be provided. However this is not always the case, and for some patients, the level of service provision will be much lower than expected. Negligence or malpractice by a medical professional can lead to a plethora of injuries or illnesses. It could exacerbate an existing condition, create a new condition, or otherwise affect a patient. If you have been harmed in some way by a clinical professional, talk to our Legal Expert solicitors who can cover the Ipswich area. Have you, a member of your family or your next of kin suffered due to the way you were treated in hospitals, such as Ipswich Hospital? When you need clinical negligence solicitors in Ipswich, Suffolk our team can help you. The solicitors we can provide you with could help you to reclaim hundreds or thousands of pounds. Ipswich medical negligence team can assist claimants who live in the town itself, as well as surrounding areas of Suffolk. Call us today on 0800 073 8804 to organise your free consultation. Our team can then assess whether or not your claim is valid as well as assessing how much compensation that you could be owed. They will also be able to provide you with a solicitor covering your local area, all at no extra cost to you. Claimants need to work with medical negligence solicitors for a variety of reasons. Clinical negligence and malpractice are commonly defined as the provision of substandard care to the patient by a clinical professional. The substandard care can lead to the patient being harmed, suffering an injury or their existing condition being made worse. These types of claims may also include having been administered the wrong treatment, mistakes made during treatment, or even misdiagnosis of the issue. Any and all of these can lead to devastating consequences for the patient. Under UK law, patients who suffer negligent medical negligent treatment, whether as an outpatient or inpatient, are entitled to make a compensation claim both for the injury suffered and any financial costs incurred. The solicitor in Ipswich you work with will need to be able to demonstrate the following criteria to ensure your claim is successful. That the practitioner or institution (identified as the defendant) owed you (identified as the claimant) a duty of care as a patient. That the defendant in some way breached their duty of care. This could be through both an action, or an inaction on their part. That the negligent care leads to a condition or accident which otherwise could have been avoided. This could be the illness being made much worse. If the claimant is deceased, either as a consequence of the negligent care, or due to unrelated circumstances, a family member, next of kin, or otherwise designated person can bring the claim on their behalf. People are also able to make claims on behalf of another person where they are deemed to be mentally unable to do so themselves. An example of this could be a care home resident who has some form of dementia. Finally, you should be aware that all personal injury and medical negligence claims made in the UK are subject to a three-year time limit. To comply with this, the claim must be brought within three years of the incident taking place, or the claimant being diagnosed with the affliction. If you have suffered negligent treatment by a GP, dentist, NHS hospital, or private practitioner in the Ipswich area, talk to Legal Expert today. We can provide you with the best solicitors to assist with your case. In most towns and cities across the country, there will be several firms of solicitors, as well as national companies who can help claimants in your area. This is the same for the Ipswich area. So, how do you find the best medical solicitor in Ipswich? Finding the right solicitor to represent your claim is one of the most important steps you take on the path to getting the settlement you deserve. It is important that the solicitors you choose to work with have the right experience to be able to handle your case. To find the right solicitor to help your claim against a medical provider in the Ipswich area, follow the steps below. Finding the right solicitor who can help with claims which occurred in, or where the claimant lives in a given area is highly important. One of the first steps people often take when searching for a solicitor is reading online reviews. People may use search terms such as ‘best medical solicitor in Ipswich’ to find reviews. Reviews can be important in providing you with impartial feedback. People often also ask people they know for recommendations and reviews. A better option is to contact our Ipswich medical negligence team. They can provide you with help and advice, and even provide you with a solicitor. Like with many professional services people use, it is quite common for people to try and find a solicitor who is based in their town. However, with the advent and use of a whole range of different digital communications tools, you can keep in contact with a solicitor, no matter where they are based. Using different messaging systems, you can keep in contact at the touch of a button. Wherever your solicitor is based, you can stay in contact as easily as if they were around the corner. What Claims Do Our Ipswich Medical Negligence Team Handle? At Legal Expert, our local medical negligence teams can handle a wide range of different types of personal injury, and medical negligence claims. In the sections below we look at some of the most common circumstances which can involve medical negligence, as well as their consequences. If your injury or illness, or the circumstances which lead to them are not listed below, don’t worry. Our team can still help with your case. Hospital negligence compensation can refer to treatment which has or has not been provided, activities carried out or anything provided by the hospital which leads to the patient suffering in some way. Suffering can be an existing illness or injury being made worse, the contraction of a new condition, or the provision of the wrong medication. Negligent treatment in a hospital may also simply refer to the claimant not being treated in time, or simply being neglected. All of these circumstances can be considered a breach of the hospitals’ duty of care. No matter whether you have used a private or NHS hospital, you are entitled to expect a certain standard of service provision. When this is not delivered, you could have a case for making a claim. Speak to our team today to find out more. Dental negligence claims deal with negligent treatment provided by a dentist, or other dental practitioners, such as a nurse, anesthetist or dental surgeon. As with hospital claims, they can involve negligent treatment which has been provided, the failure to provide treatment, or the provision of treatment which is inappropriate to the patient’s condition. The damage caused can lead to severe and lasting consequences for the claimant involved. 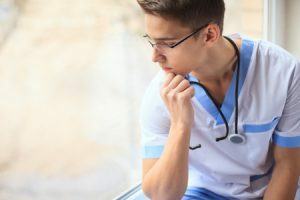 GP negligence claims can be brought by claimants against any GP surgery in Ipswich or the surrounding area where a patient has suffered negligent treatment in some way. If the GP has breached their duty of care to the patient, the resulting consequences can range from the mild to the severe, with even life-changing results. Common types of negligence by a GP may include the failure of a GP to review treatment options and medication provided, providing the wrong prescription or not monitoring the patient’s illness adequate. Cases of cancer treatment involving negligence can lead to extremely serious consequences. As with any serious and life-threatening illness, the earlier cancer is diagnosed and treatment has begun, the better the survival rate. The failure to diagnose or provide the right treatment in cancer cases can ultimately be the difference between recovery and death. If you have been treated in a negligent way, were not treated in the right way, or otherwise receive substandard care from a medical practitioner at an Ipswich hospital during your cancer treatment, speak to the team at Legal Expert today. Daycare, residential and nursing homes have a duty of care to care for those who may be the most vulnerable in society. Service users may often be elderly, vulnerable or disabled. You can make a claim for compensation against a service provider if their negligent care has caused harm to you, or a person you are legally responsible for. You can also claim on behalf of someone who has passed away since the incident as a result of this, or due to other (unrelated) circumstances. Legal Expert can provide you with an experienced solicitor to help in these cases. Childbirth medical negligence claims can be brought for injury or illness suffered by either the mother or child. They can be made during the pregnancy, birth or in the immediate aftercare. Common injuries of illness which can be considered as medical negligence in these cases, or which can be claimed for might include hypoxia (oxygen deprivation), the contraction of an infection, and even fractures or broken bones. If you, your child or a relative have suffered negligent care whilst giving birth and have suffered as a result, you could be entitled to make a claim for compensation. Talk to Legal Expert today to find out how our team can help. Within the NHS, hospitals, GP surgeries and dental practices (as well as the people who work at them) can come under NHS trusts and clinical commissioning groups. These authorities may ultimately bear responsibility for a patient’s treatment and be the body responsible for paying the compensation settlement. In the table below we have included data for the total volume and value of claims made against health authorities in the Ipswich area in the year 2015/16 for medical negligence which happened in Ipswich. No win, no fee medical negligence solicitors help claimants through what is called a conditional fee agreement. This is colloquially known as a ‘no win, no fee’ contract. These are a special type of agreement or contract between a claimant and solicitor which are designed to help those who may not otherwise be able to afford the costs associated with taking legal action. The agreement will set out the work the solicitors will carry out on behalf of the claimant, and their terms of service (such as payments). The contract will detail under what circumstances, and how they should be paid by the claimant. It should also say that if the case is not resolved with a settlement, there should not be a charge for the solicitors fees. This removal of financial burdens and risks has enabled people across the country to successfully make a compensation claim. Them mean in the event of a claim not being awarded a settlement, the claimant is not left with a big bill to pay. Before you sign your no win, no fee agreement, the solicitor we provide you with will take you through what the contracts contains, explaining everything in a clear, easy to understand way. This way you can be sure you understand what you are signing up for. You can start your compensation claim, or find out more about whether you have a valid case by talking to the team at Legal Expert. We are on hand and ready to handle your call seven days a week between 9am and 9pm. Contact us today by phone, or email our team on info@legalexpert.co.uk. If you have suffered medical negligence, find out more information on the best way to claim compensation with our explanatory guide.